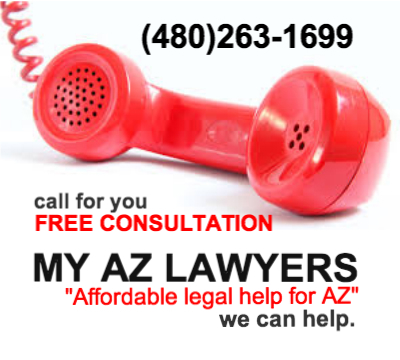 My AZ Lawyers helps residents in Mesa, Arizona achieve a successful financial future. If you are burdened by debt that has become too excessive to realistically every pay back, then call the attorneys at My AZ Lawyers. We can help. For whatever reason you are faced with overwhelming debt, it is possible for you to have a fresh start and a clean financial slate. Filing for bankruptcy is only one option in debt relief, and My AZ Lawyers will help you to determine exactly what action needs to be done based on your financial profile and individual situation. 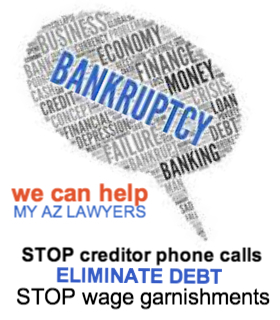 So call to schedule your FREE initial consultation with an experienced Arizona Bankruptcy Law attorney at My AZ Lawyers. We offer several payment options to make our expert representation affordable for you. You may choose to meet with an attorney at one of our convenient locations in-office, or, if you prefer, a phone consultation.